Welcome to Point on Scott, located in central Decatur. Our luxury apartment homes make it possible for you to experience both urban conveniences and suburban neighborhood charm. This is the lifestyle you've been waiting for with studio, 1-, 2-, and 3-bedroom apartment homes available. We guarantee that you can find a space to accommodate your needs and lifestyle. Our homes range from 585 to 1,924 square feet, featuring high-end details like quartz countertops, subway tile backsplashes, stainless steel appliances, and tray ceilings in the bedrooms. 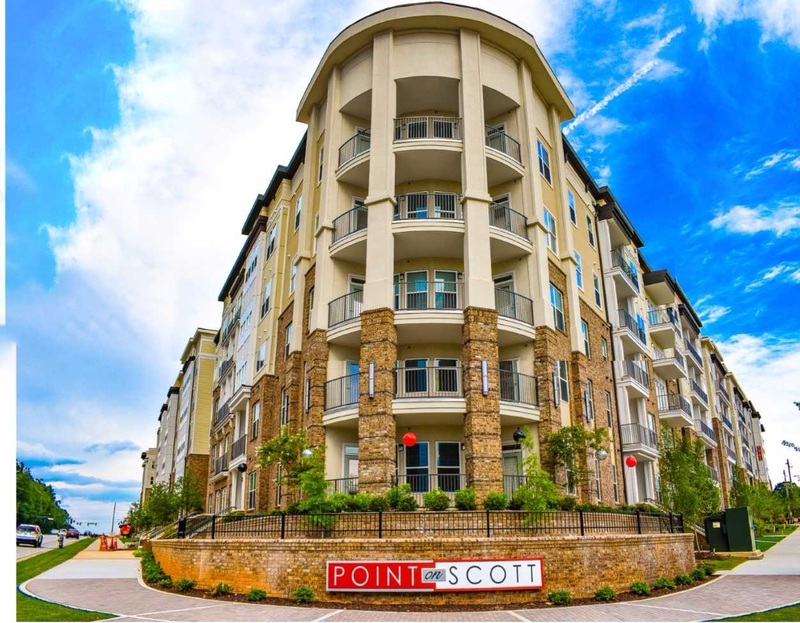 Not only do our apartment homes embrace the upscale atmosphere of mid-rise living, but Point on Scott also features impressive community amenities that all residents can enjoy. With a saltwater swimming pool, indoor spa and oversized exercise room, a game room complete with golf simulator, you won't have to go far to relax. Even better, our apartment community is located next to a brand new retail village. Welcome to Decatur's premier living destination, Point on Scott, a Northwood Ravin signature community.